Investors buy and sell currencies in the forex market. 3. What Does It Mean When a Stock Trade Is Stock Trade Queued? A pending order in the foreign exchange, or forex, market instructs your broker to automatically buy or sell a currency when the market reaches a certain price in the future. This type of order differs from a market order, which instructs your broker to immediately buy or sell at the current price. A pending order gets you into a trade when conditions are just right for your strategy and helps you avoid missing a trade, even if you step away from your computer. Trading software and order-entry methods differ among brokers, but the general types of pending orders are the same. Open the order window in your forex broker’s trading software. Select the currency pair to trade in your order window. Currencies trade against one another in pairs. The first currency in the pair is the one that your pending order instructs your broker to buy or sell. When you buy or sell this currency, you simultaneously sell or buy the second currency, respectively. 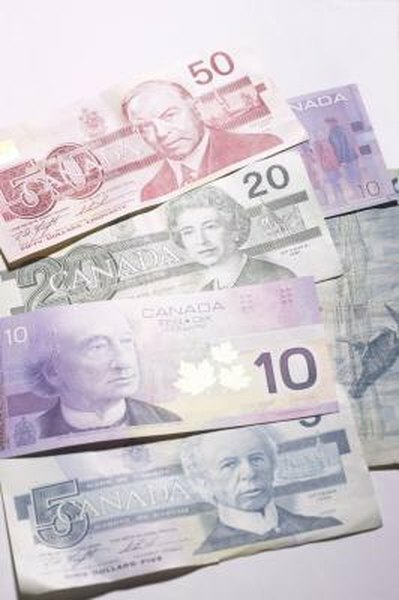 For example, if you buy the U.S. dollar vs. the Canadian dollar, you buy U.S. dollars and sell Canadian dollars simultaneously. Select “Pending Order” from the order type drop-down menu. Type the price at which you want the pending order to execute in the price box. Forex prices are typically quoted to four decimal places, although some brokers quote them to five. In this example, assume the U.S. dollar/Canadian dollar pair currently trades for 0.9875, which means it costs 0.9875 Canadian dollars per U.S. dollar. Assume you want to buy the U.S. dollar if the price rises to 0.9925. Type “0.9925” into the price box. Select the specific type of pending order from the available choices in your order window. There are four general types of pending orders. A “buy limit” order buys the currency when it reaches a specified price that is below the current market price. A “buy stop” buys the currency when it reaches a price that is higher than the current price. A “sell limit” order sells the currency at a price that is above the market. A “sell stop” sells it at a price that is below the market. In this example, select a "buy stop" order, which will buy the U.S. dollar vs. the Canadian dollar when the current price rises to 0.9925. Click the check box in the expiration parameter and select a date and time that you want the pending order to expire. If you want it to remain open until it executes or until you cancel it, leave the check box unchecked. Type the number of contracts, or lots, you want to trade in the volume box. In a standard account, one contract represents 100,000 units of the first currency in the pair. You can also trade partial contracts, such as 0.1 contract. In this example, if you want to buy $10,000 U.S. dollars vs. the Canadian dollar, select a volume of 0.1. Click “Place” or a similar button to place your pending order. Some brokers allow a combination of the four main pending-order types. For example, on a “buy stop limit” order, the market must rise to a specified price, then pull back to another specified price before your order executes.